Photos from Inle Lake and the surrounding town. More Burma travel stories. 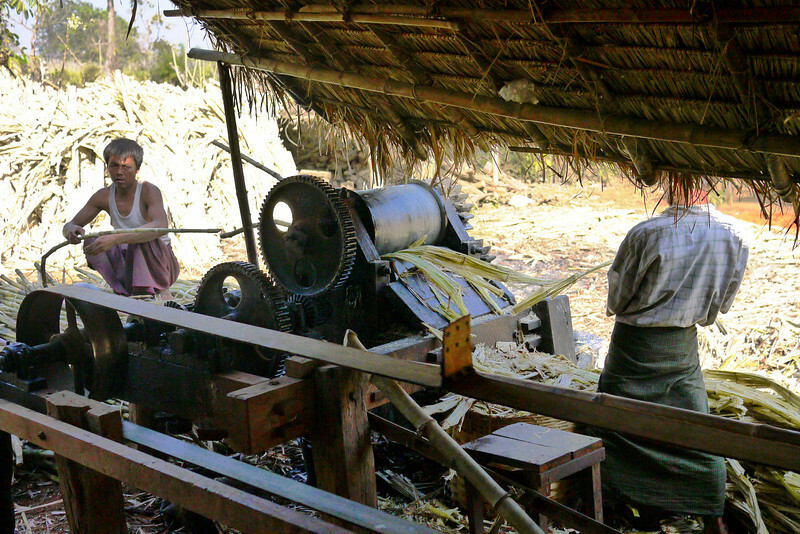 The sugarcane press is a huge handmade machine that squeezes the juice from the sugarcane stalks on Inle Lake, Burma (Myanmar).